Often there are steps in your pipeline that you do not want to happen automatically. For example, you might want to keep binaries from being created for every pipeline (to prevent running out of disk space) or want to choose when your code is deployed to production. Stages in GoCD can be marked as ‘manual’ just for this purpose. 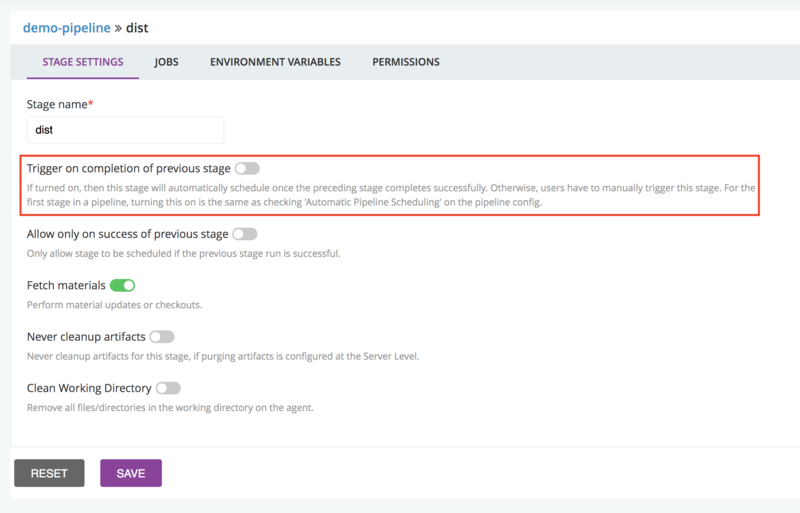 You can create a manual pipeline by setting the first stage to manual. Usage: We need a manual ‘dist’ stage that will create the binaries used by later stages.